Injection molding is a popular plastic working process, the following blog will show you how to save your injection molds cost. Just start with it! Molding is a process where some liquid or a pliable material (such as thermoplastic polymers, ceramic, plastic or glass) is filled in a hollowed-out block to cool and harden, configuring the cavity shape. 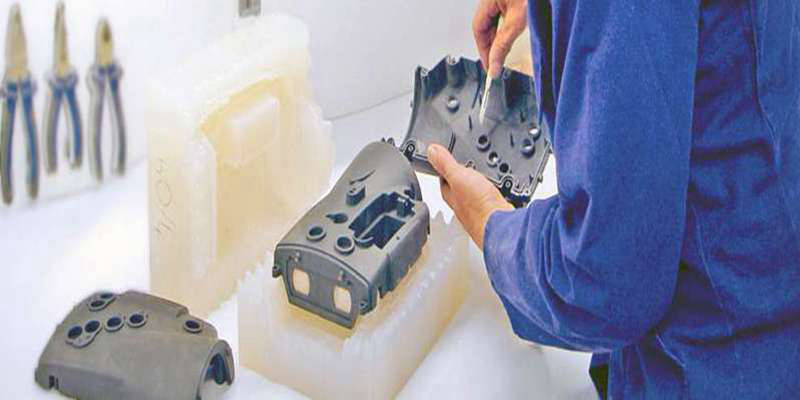 Rapid injection molding is an ideal method for manufacturing high volumes of plastic parts in automotive, home application, concept ideas, and engineering build-up among other plastic products available in today’s market. It’s always recommendable to use high-pressure injection to simplify the process. The process is typical in manufacturing. However, the special and unique process makes it cost a lot in actual manufacturing. Would you like to save the injection molds cost? The choice for a core metal depends on the products durability. For instance, a steel mold is suitable for long-run projects while an aluminum or rubber mold, for short-run projects. However, choosing a rubber or aluminum mold for long-run projects may demand more maintenance cost in the long-run. It’s evident that larger parts demands for more materials and molds hence more production cost and extra more production time. On the other hand, small-sized parts require less processing time than large-sized parts thus low production costs. A demand for fewer cavities in a mold translates to minimized tooling work, time, and costs comparing to more cavities. However, any experienced molder has skills to maximize the mold cavitations to maintain the highest productivity level of the product. Secondly, it’s recommendable to create single mold per part since family molds produce inferior products with more maintenance issues arising from impromptu downtimes. The kind of the mold base is an essential factor considered in production since it holds together all the cavities, inserts, and other components. The majority of mold bases have standard sizes which are re-sized and polished to fit in the required project. The base quotation depends on the type of steel, format, and the customization needed. The process includes placements of the cavities, cooling lines, cores, and ejectors for polishing purposes. However, the steel used impacts the overall cost since the recommendable hardened steel molds have a long production life though expensive to customize. Producing an appealing eye product is a combination of cost and its complexity. For instance, surface finishing, the number of undercuts, and the cavities needed are among the factors in determining the value of injection molding. In a situation where a product has some intricate parts, a detailed mold would be necessary translating to higher tool costs. In addition to that, an experienced manufacturer may help minimize your budget by simplifying the client’s design. In some instances, a small, detailed mold can cost more than a large-sized yet simple mold. Also, tight tolerances are a significant focus during mold production although it demands additional steps which increase the tooling costs. Saving on production cost is paramount when it comes to manufacturing since it minimizes the final cost of the product. The simplest trick to reduce the price per piece is by increasing the parts quantity since the upfront costs while machining and designing the mold can be used over more parts. In addition to that, you can try other materials as you observe their effect on the project and production cost. Below are some injections molding designs you can experiment to minimize the manufacturing cost. Generally, the undercut features complicate and in some instances prevent parts injection. Eliminate them if possible. If you find it hard to get rid of them, try sliding shutoffs, pass-through cores or change the parting line and draft angles to simplify the mold build. If the technique is applied appropriately, it reduces the tooling costs. The approach provides smooth finishing, improved ejection, adequate venting, and also eliminates steep draft angles. For instance, while making an electronic housing it’s recommendable to sink the wall cavities into the mold base since it requires some thin tools to shape the ribs into a mold. This method simplifies the process hence saving some dollars. 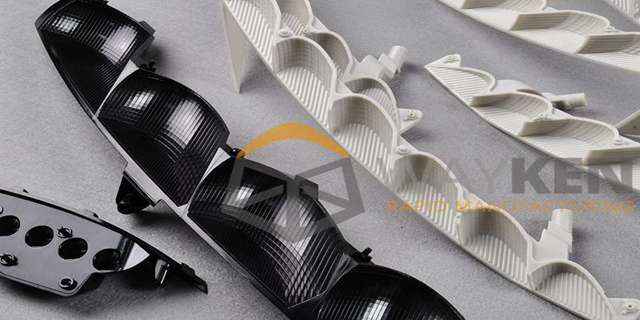 Decorations added on injection molding makes the product attractive though they demand high mold polish, EDM, or bead blasting which increases the tooling costs. You can also polish the necessary areas rather than focusing on the entire mold. Finally, to save on the manufacturing costs, avoid decorations unless requested by the client. Some molded injection parts pass through several iterations to get an appealing design. 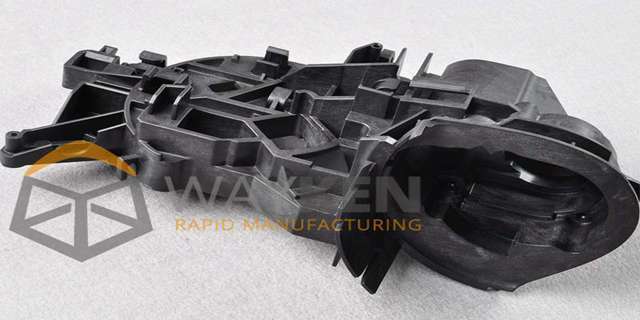 However, instead of buying a new mold for every revision, you can comfortably re-use the initial one by starting with the smallest, basic part design, then mold several pieces, re-machine them to add additional features, taller version, and re-mold. The technique can save dollars on tooling development if used appropriately. If you are undertaking a project with two interlocking segments, or a snap-together case, it’s recommendable to redesign the snaps to interlock instead of repeating the process for every snap. If you want to produce molds in bulk, you can achieve this using an aluminum tooling with up to eight cavity molds depending on the part or size which may minimize piece-per part costs. Other techniques to try include, over molding, managing the part sizes, apply the on-demand production and focus on FDM analysis. -Spin casting: The process uses the cured rubber molds generated after casting the molten rubber around the prototype. Although the steel tooling holds up better than rubber, the rubber mold consists of a cheaper magnitude to produce than a hollowed steel tool. After reading through the content, it’s evident that a fixed injection molds cost doesn’t exist due to many factors affecting the manufacturing process. Before deciding on undertaking a mold project, it’s advisable to be careful on the quotation. However, an experienced manufacturer may be privileged to apply the above techniques and alternatives to minimizing the production cost to save a few bucks.